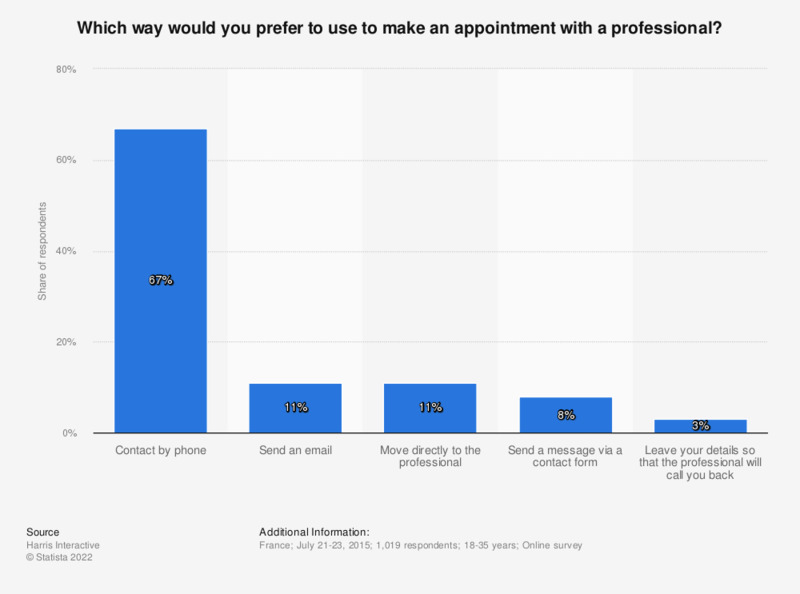 Which way would you prefer to use to make an appointment with a professional? This chart represents the means most used by the French to make an appointment with a professional in 2015. That year, making contact by phone was the preferred way to contact a professional. It was mentioned by more than two thirds of respondents. How do you prefereably obtain a quote? Do you use emoticons in each of the following communication methods?